Conor McGregor has been charged with three counts of assault and one of criminal mischief after he was filmed attacking a bus at a media event in New York on Thursday. The Crumlin fighter handed himself in to police in Brooklyn on Thursday night and was taken into custody. 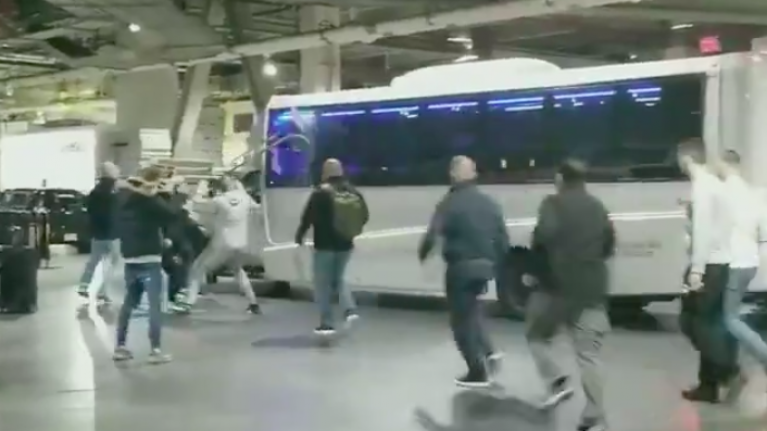 McGregor and his entourage were filmed entering the Barclays Center at around 6.30pm (Irish time) on Thursday, where they threw a number of items at a bus that was transporting fighters from a media event in the borough. The 29-year-old was seen to throw a trolley at the front of the bus, breaking a window, with a minor injury caused to one of the passengers during the incident. TMZ released the following footage of McGregor launching the projectile towards the front of the bus. Before McGregor turned himself in to police, UFC President Dana White spoke at length about the incident and admitted that McGregor's fighting future was at risk in the wake of the incident.